The research team, which also includes researchers from Ecole Nationale Supérieure de Chimie de Clermont-Ferrand in France, created the electrolyte as part of its work on aluminium batteries. The electrolyte is one of several key parts in a battery, acting as a conductor for electricity. "This electrolyte will make aluminium batteries cheaper and easier to produce," says Professor Nann, from the School of Chemical and Physical Sciences and the MacDiarmid Institute for Advanced Materials and Nanotechnology at Victoria University of Wellington. "It is more affordable than the ionic liquids currently used in aluminium batteries, and it is also more sustainable, as our electrolyte can be made from plants." This research is part of a wider project led by Professor Nann to create better battery alternatives. 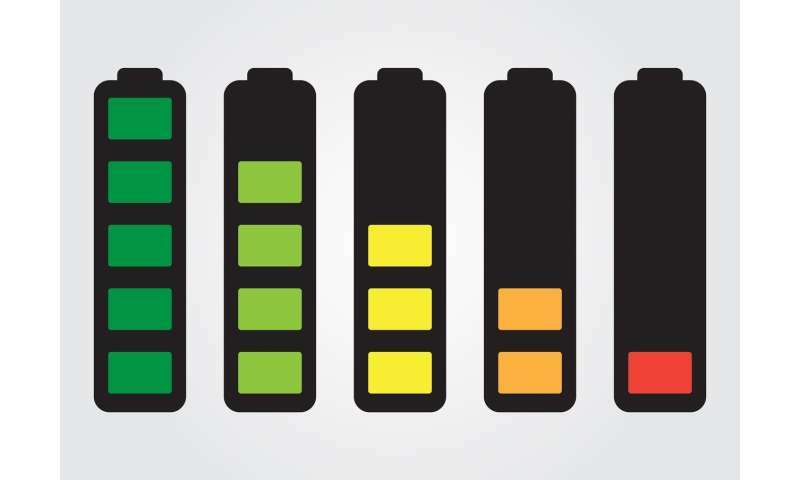 Batteries are currently made out of lithium and cobalt, but Professor Nann says problems with these materials are quickly becoming apparent. "Lithium and cobalt are potentially dangerous substances," Professor Nann says. "Damage to batteries containing these substances can make them explode. They are also toxic, leading to several deaths every year from children swallowing these batteries. Nor are they easily recyclable, and we are running low on available sources of the raw materials. If we do not find alternate sources of lithium and cobalt, we will eventually run out of the resources we currently use to make batteries." Aluminium is a good alternative, Professor Nann says, but the technology for creating aluminium batteries lags behind other battery technology—although it is catching up. However, aluminium is safer to use, as it is non-toxic and not at risk of exploding, is recyclable, and is the most abundant metal on Earth. "This new electrolyte is just another step towards improving aluminium battery technology and making it suitable for commercial use." Professor Nann and his team have so far tested their electrolyte with a standard graphite-based battery, with plans to adapt the electrolyte so it can be used in batteries that use better performing materials in the future.